Grobag is the no. 1 baby sleep bag and leads the market in product safety and quality standards. 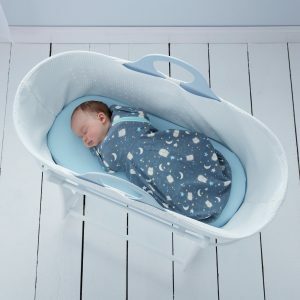 The Grobag provides a safer, easier to use alternative to lose sheets and blankets offering a much better night’s sleep. Grobags take confusion away, meaning quality sleep for parents too as the soft fabric, accurate togs and sizing, and clear guidance keep babies safe and comfortable through the night. Grobag is the only product recommended by The Lullaby Trust, the UK’s leading safe sleep charity. Safety features include double shoulder poppers, zip click covers, secret seams and chin guards to prevent rubbing. No other baby sleep bags offer the same quality, choice, and durability. 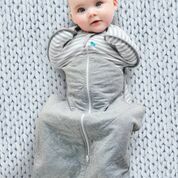 The GroSnug is a modern swaddle and newborn Grobag in one. Baby can have arms in or out. The GroSnug allows for natural hip position; officially acknowledged at “hip-healthy” by the International Hip Dysplasia Insitute. The GroSnug features baby safe YKK zips, nickel free poppers and have no rough edges or seams. Suitable from birth! comes in cosy brushed sweatshirt body with lined jersey torso.